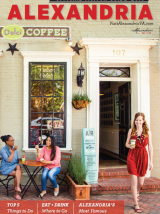 Galleries, studios, and museums buzz with exciting arts and cultural events seven days a week in Alexandria, Virginia. Score coveted tickets to hear the Alexandria Symphony Orchestra, catch a favorite artist’s new exhibit at a renowned venue like the Torpedo Factory and wander the King Street Arts Festival to discover new and rising stars. Check the calendar below for upcoming arts events in Alexandria.